Seaweed and its edible members, sea vegetables, have quickly earned a ‘superfood’ status due the extensive health benefits they offer. Their most important contribution is the wealthy dose of iodine provided, which is an essential ingredient for thyroid and hormonal health. In addition, they contain a wide variety of essential minerals such as calcium, copper, magnesium, and iron. Sea vegetables also alkalize the blood, helping balance internal pH levels, and they draw toxins and harmful chemicals out of the body. And if all these have not whet your appetite for a mouthful of edible seaweed, you may want to start adding sea vegetables to your diet for their beauty benefits, which include improving the appearance and condition of your skin, hair, and nails. Archeologists trace the consumption of sea vegetables to ancient Japanese and Chinese cultures many millennia ago, when they were first considered a delicacy fit for royalty and honored guests and where they gradually became more widely consumed. Additional Asian countries with a long history of seaweed consumption include Malaysia, Korea, and Vietnam, while multiple coastal countries and regions located near water have also been including sea vegetables in their diets since ancient times. These include the Pacific Islands, coastal South America, Iceland, New Zealand, Norway, Scotland, and Ireland. Surplus production of seaweed led to the beginning of exports to Europe, France, and eventually to the United States and elsewhere, where acceptance of seaweed products as human food and cultivation of sea products has been slow in coming. Today, investments in the equipment and expertise necessary for edible seaweed cultivation have expanded outside of Asia, however Japan continues to dominate and corner the market on production. There are countless seaweed varieties in the natural world! 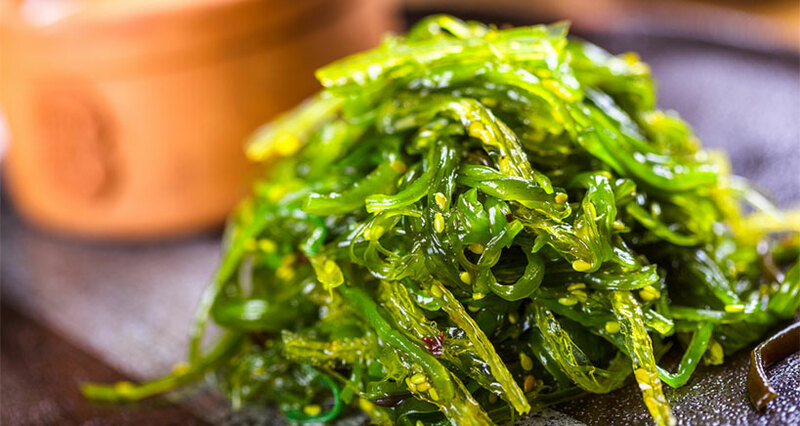 Here is some practical information about the most popular types of edible seaweed and how your restaurant or catering service can incorporate sea vegetables into your existing menus and favorite recipes. Nori: Out of all the sea vegetables, nori is among the best known, made famous for its role in making sushi rolls. Naturally dark black-purple in color that turns phosphorescent green when toasted, nori is available in sheets, flakes, or powder, toasted and pre-toasted. To make vegan sushi rolls in your restaurant, simply wrap cooked rice and your favorite veggies in sheets of nori. Delicious with the addition of a homemade dip or served with tamari or avocado slices. For a finishing touch, you can also serve with a crispy, salty nori snack (like a potato chip). 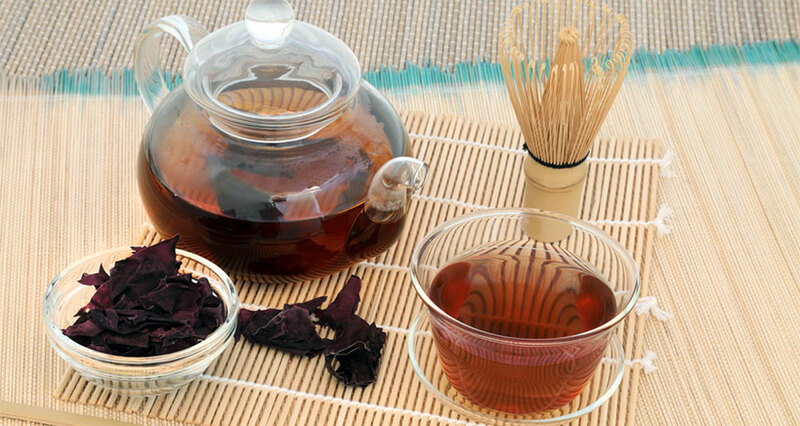 Hijiki: Traditionally used in Chinese medicine to promote beautiful lush hair locks (aka healthy hair growth), hijiki is packed with minerals that give it its dark black appearance. 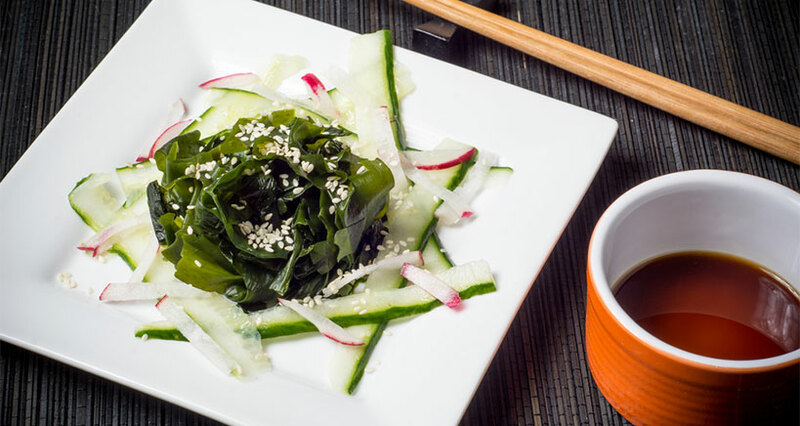 But don’t let looks scare you, in addition to its being a natural beauty aid, hijiki is also a salad-friendly seaweed. Some of the ways to enjoy hijiki is rinsed, drained, and mixed with sautéed tofu, carrots, or mushrooms. For another great serving idea and easy recipe, combine soaked hijiki with shredded carrots and ginger. Toss with some soy sauce and a dab of olive oil – and voila! Kombu: A dried sea vegetable dark in color, kombu increases the flavor of other foods and is often added to soups. Alternatively, you can add strips or slices of kombu (softened by soaking in water) to assorted salads, vegetable dishes, and grains. Wakame: Resembling kombu in appearance and usage, wakame is a popular ingredient in making Japanese miso soup. You can also soften wakame by soaking it in water and adding it, drained and chopped, to your favorite grain and salad recipes. And if you are a chef who is always hungry for new ingredient information, here is some culinary trivia for you to savor: In macrobiotic cooking, miso soup is consumed in the morning as a means of getting the body ready for the day ahead. Add in some tofu and wakame, and enjoy a protein-packed, nutrient-rich breakfast! 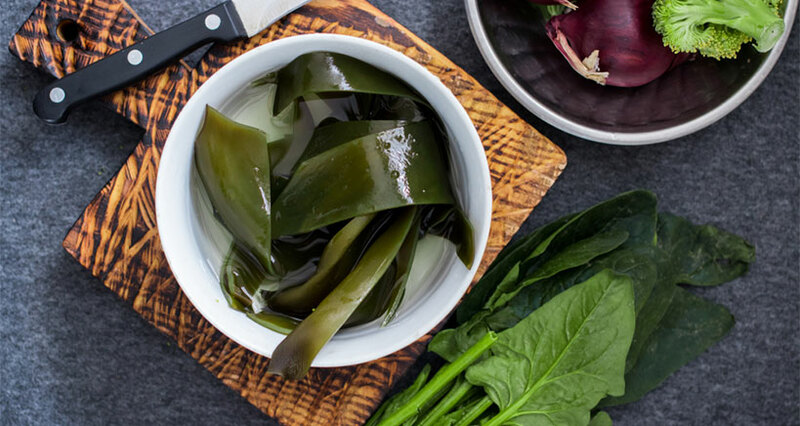 Arame: Part of the kelp family and known for its sweetness and mild flavor, arame is a wiry sea vegetable sold in thin strips and is used similarly to wakame. For example, you can substitute arami for wakame in soups and other dishes. Dried arame can also be rehydrated by soaking in water and draining, and you can add arame strips to stir fries and salads. Word to the seaweed wise: If sea vegetables are new to your customers’ palates, arame is a great way to begin due to its sweet taste and crispy natural texture. Simply toss some arame into a green salad, and you instantly have a new delicious, mineral- and protein-rich recipe! Kelp: A popular brown edible algae, kelp grows in nutrient-rich ocean waters, giving it its notably high iodine, vitamin, and mineral content. Healthwise, kelp is said to especially boost thyroid function, the digestive system, the prostate, and the pancreas. As a natural beauty aid, the minerals in kelp contribute to youthfulness and splendor while they prevent hair loss, dry skin, and brittle nails. Typically sold in flake form, a growing number of restaurants keep a container of kelp flakes or kelp seasoning on their customers’ tables, right next to the traditional salt and pepper shakers. And for another great seaweed recipe idea, try your chef’s hand at preparing kelp noodles, which are not only nutrient rich but also a gluten-free and low-carb alternative for your customers on restricted diets. Kelp noodles can be added to soups, stir-fries, and salads, or for a spicier rendition, toss with some Thai peanut sauce or other Asian sauce. Agar: Also known as agar-agar, this sea vegetable is fast becoming a secret ingredient in mouth-watering, sweet, sugar-free desserts! Remarkably, while agar is naturally odorless and flavorless, it can be used as a vegan alternative to gelatin (i.e. in custard and pudding recipes) as it shares the same consistency when soaked, and also adds a healthy dose of collagen. Alternatively, you can add agar to savory dishes to help create a thicker gravy base. In addition to Asian markets and a growing number of health food stores and grocery stores, you can order sea veggies online from a number of reliable resources, including SeaVeg.com and JustSeaWeed.Com. When purchasing sea vegetables, check that their packages are sealed tightly and shy away from any signs of excessive moisture. Most importantly, for the most reliable organically grown sea vegetables, look for the USDA organic logo. Finally, if you store your seaweeds in tightly sealed containers at room temperature, they will stay fresh for you to savor for at least several months. Soak dried Wakame seaweed in water for 10 minutes. Drain and squeeze out water. Slice cucumbers as thin as you can. Stir in salt and leave sitting for 5 minutes. Squeeze out water from the cucumbers. In a small bowl, combine sugar, rice vinegar, soy sauce, and sesame oil. Mix until sugar dissolves. Add vinegar mixture and sesame seeds to prepared cucumbers and Wakame and mix well.